The January 3 Louisiana Wildlife and Fisheries Commission meeting originally accompanying the Queen Bess Draft Restoration Plan meeting will likely be rescheduled. However, our meeting to discuss and take comment on the draft plan will still occur that day at 9:30 am at Wildlife and Fisheries Headquarters at 2000 Quail Drive, Baton Rouge, Louisiana 70808. The Louisiana Trustee Implementation Group has released its Draft Phase 2 Restoration Plan and Environmental Assessment #1.1: Queen Bess Island Restoration (PDF, 97 pages). The draft plan is consistent with the Trustees’ Programmatic Restoration Plan and proposes activities for restoring natural resources and services injured or lost as a result in Louisiana caused by the Deepwater Horizon oil spill. We are seeking public comment on the draft plan through January 22, 2019. The Queen Bess Island Draft Restoration Plan evaluates two alternatives for restoration of bird habitat, plus a no action alternative. 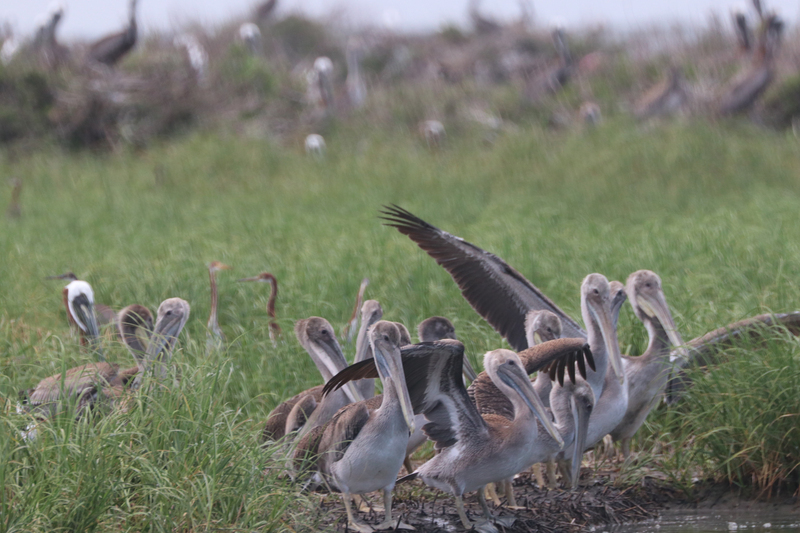 The preferred alternative would create 30 acres of brown pelican habitat and 7 acres of tern and skimmer habitat. The total estimated cost of the preferred alternative is $18.71 million. We will hold a public meeting on January 3, 2019 at 9:30 AM, Louisiana Wildlife and Fisheries Commission Headquarters Building, 200 Quail Drive, Baton Rouge, LA, 70808. Verbal comments of the draft restoration plan will be taken during this meeting. You can provide comments to us via our online portal or U.S. mail through January 22, 2019. The public meeting will held at the Louisiana Department of Wildlife and Fisheries headquarters and will include a formal presentation and an opportunity for the public to provide comments on the draft plan. Time: Presentation and public comment will begin at 9:30 a.m. The draft plan is available for public review and comment through January 22, 2019. After the public comment period ends, the Louisiana Trustee Implementation Group will review, consider, and address public comments before releasing a final plan and environmental assessment. View the full Draft Phase 2 Restoration Plan and Environmental Assessment #1.1: Queen Bess Island Restoration (PDF, 97 pages). View the related fact sheet (PDF, 2 pages).